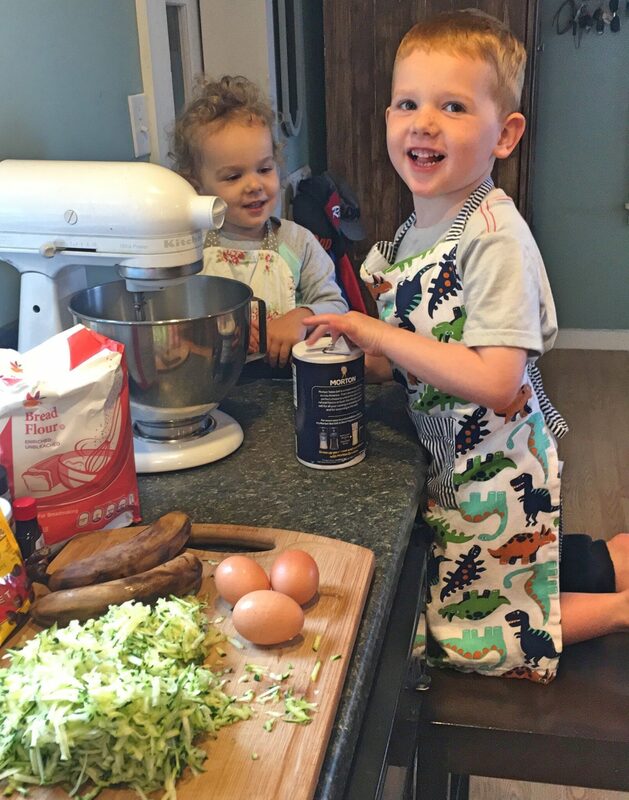 I started cooking with my two children as soon as they could help mix! Cooking with kids lets them use all of their senses, and teaches them how things they eat are made. It also encourages them to be adventurous in trying new things, and how to be healthy. We have done everything from simple baking and applesauce to rolling sushi. I find they love to try new things when they feel proud of helping in the process. Here are my top tips for working with kids in the kitchen! Get down low with your little ones whether it is on a low table or by bringing a large cutting board to the floor. You can even bring your mixer down! If you don’t love to cook, keep things simple and stick too applesauce and simple baking. Have them help measure dry and liquid ingredients. Have them use cookie cutters and rolling pins. Have them help wash fruits and vegetables. When we are working with fruits and vegetables I love to use the time to talk to them about compositing and saving scraps to make broths and soups. Avoid sharp tools, knives, being to close to the stove, and hot liquids. Choose when you have extra time to enjoy cooking with them. Don’t do it after a long day when you just want a quick simple meal of everyone’s favorite chicken nuggets. Save cooking for lazy pancake mornings with the family and rainy afternoons to try soups or yummy stir fries.